Ingrid Fetell Lee is the opening keynote speaker for the Visit NC 365 Conference, in Wilmington March 31 - April 2. Lee speaks to the relationship between our environment and our emotions. She'll share inspiration for living a more joyful life through design in our surroundings, communities and cities, and how happiness can impact tourism. She is a former design director at IDEO, author of Joyful: The Surprising Power of Ordinary Things to Create Extraordinary Happiness, and the founder of the website The Aesthetics of Joy. Through design, Lee empowers people to find more joy in life and work. 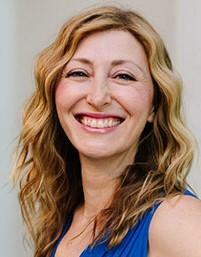 Her immensely popular TED talk, "Where Joy Hides and How to Find it," has been viewed more than 17 million times. 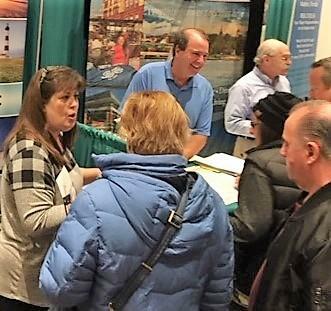 Visit NC's André Nabors and Heidi Walters, along with Scotland County TDA and New Bern CVB, promoted North Carolina as a retirement destination at the Ideal Living Resort & Retirement Expo in Long Island, N.Y., this past weekend. The Expo drew more than 1,100 potential retirees from the region who were interested in exploring opportunities and conversing with exhibitors from across the Southeast. 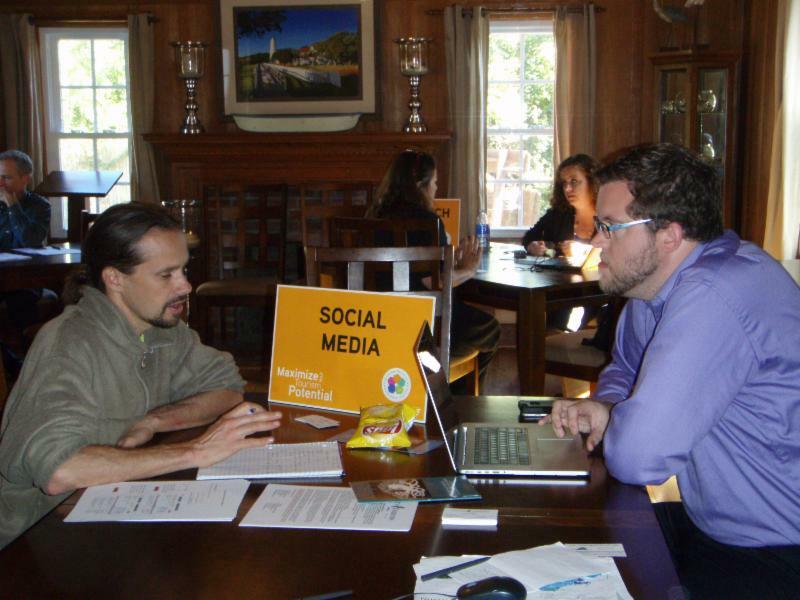 Attendees talked with experts from towns and community developers to gain insights and get answers to help plan, design and enjoy their retirement. North Carolina has consistently been one of the most requested states by the attendees. 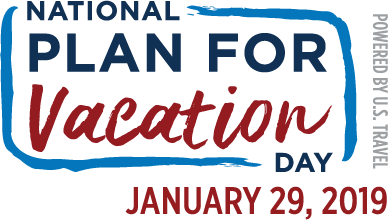 National Plan for Vacation Day is set for Jan. 29, a day to encourage Americans to plan their time off - ideally to travel. National Plan for Vacation Day means to encourage Americans to declare their vacation days for the rest of the year, at the start of the year. There's a toolkit available to make a DMO's #PlanForVacation efforts a success, which includes press release and social media templates, talking points and other useful data. 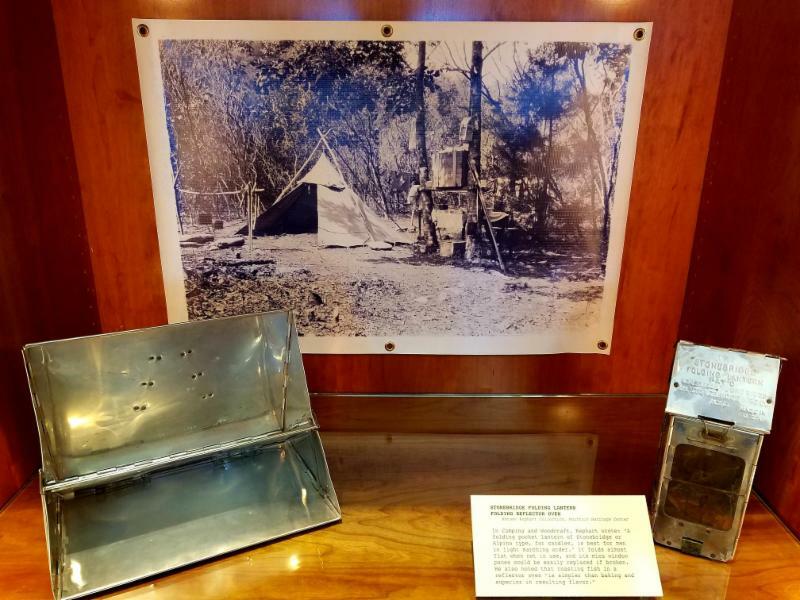 The I-26 West NC Welcome Center at Mars Hill has a display spotlighting Horace Kephart, a noted author who was instrumental in the creation of the Great Smoky Mountains National Park. Kephart wrote Our Southern Highlanders (1913) and Camping and Woodcraft: A Guidebook for Those Who Travel in the Wilderness (1917), nicknamed the "camper's Bible." Worried that the Smokies were being ravaged by clear cutting, Kephart took up the cause for saving the mountains as a national park, writing many influential articles.Produced by the Mountain Heritage Center at Western Carolina University in Cullowhee, the exhibit includes information on Kephart in addition to personal items such as shoes, folding lantern and fishing equipment. North Carolina's nine Welcome Centers promote thousands of tourism-related businesses - attractions, accommodations, events and more - to visitors already in the state who are actively seeking travel information. While each of the nine Welcome Center has a statewide focus, with an emphasis on information for visitors traveling a particular interstate corridor, they offer partners an excellent opportunity to showcase area information or upcoming events on a rotating, as-available basis. To find out more, contact Visitor Services Program Manager Wally Wazan at (919) 814 4649. N.C. Gov. Roy Cooper is the next co-chair of the Appalachian Regional Commission, a partnership between the federal government and 13 states designed to help the region's economy. This marks the first time in more than 40 years that North Carolina's governor has held the co-chair's role. The commission is an economic development agency that focuses on more than 400 counties from Mississippi to New York, of which almost 30 are in North Carolina. Cooper's leadership position means the commission will hold its annual summit in Asheville in September. Spirit Airlines coming to RDU with flights from seven destinations - Spirit Airlines announced Tuesday (yesterday) that it would begin daily nonstop service to Raleigh-Durham International from seven destinations. The airline will fly from Boston, Baltimore, Chicago (O'Hare), Detroit, New Orleans, Orlando (International) and Fort Lauderdale, Fla. All the flights start May 2. AVL topped 'milestone' 1 million passengers in2018 - Asheville Regional Airport officials announced this week AVL served the most passengers in its history in 2018, totaling about 1.13 million passengers across its six airlines. Passenger numbers were up about 19 percent compared to 2017, breaking the airport's passenger utilization record for the fifth consecutive year. The past year saw the airport add a number of new or expanded routes, including to Denver, Dallas and Orlando, among others, ultimately boosting the total passenger counts from past years. USAToday included Ultimate Backyard Warrior among its "Gyms where you can try a 'Ninja Warrior' course." The online photo gallery included two pictures of the Rocky Mount gym, with the same caption: "Ultimate Backyard Warrior in Rocky Mount, North Carolina, stated out as a home project, and soon developed a national reputation." The average hotel guestroom is empty more often than not. If a hotel isn't managing the temperature in those rooms, it could be tossing thousands of dollars away needlessly on heating and cooling bills. Some brands of thermostats, using built-in in infrared motion detectors, can help save energy by sensing the presence of guests and room temperatures while adjusting to the most comfortable level. Other brands use key cards to control the HVAC system. A variety of technology is available. Consider this, though, by updating guestroom thermostats in a few rooms at a time, a hotel can save enough money on energy bills to pay for the upgrade. It can baby-step its way to energy efficiency without doing an "all-or-nothing" retrofit of all guestroom thermostats. Also, a hotel can check with its utility company to see if they offer incentives to help with the retrofit as well. Make sure to purchase a reliable brand that can meet the hotel's needs without sacrificing their guests' comfort. For more information about the NC GreenTravel Initiative or for free technical assistance, contact contact Program Manager Tom Rhodes at (919) 707-8140. For the week of Jan. 17, North Carolina Weekend continues the second part of its new format: running eight episodes, one each week, and then repeating those episodes for the following eight weeks. So this week's episode is a repeat of the one that originally aired Nov. 14, spotlighting Indian culture in Cary and Morrisville; the newly re-opened visitors center at the Wright Brothers National Memorial in Kill Devil Hills; Part 1 of a story on the Surry Winter Wine Passport in Mount Airy and Elkin; and Stackhouse American Eatery & Pub in Mars Hill. (Check local listings; segments are subject to change.) North Carolina Weekend is underwritten by Visit North Carolina. In addition, UNC-TV has recent editions of North Carolina Weekend available online. The top 15 international countries of origin sending visitors to North Carolina represent 83 percent of all international visitors to the state. The top countries are Canada, U.K., Germany, China, Mexico, India, Japan, France, Brazil, Australia, South Korea, Spain, Italy, Sweden, Ireland and Denmark. For more North Carolina visitor information, visit Research, or contact Visit NC's Marlise Taylor at (919) 447-7748. Through Jan. 17 - BRPA Winter Meeting, Wyethville, Va.